Normally, when configuring an inbound transaction set we update the Trading Partner profile to write all inbound mapped data to a single file specified in the Inbound Header File field on the mapping tab. This allows us to write all the data to a single file, appending to the file if it already exists. Occasionally, there is a need for a separate file for the mapped detail data, which can also be specified in the Transaction Set setup for the Trading Partner. However, there are cases where it may be necessary to write to a new unique file, or multiple unique files, for every mapped transaction. One such example is in a system that uses XML files. XML files can often only contain a single transaction. 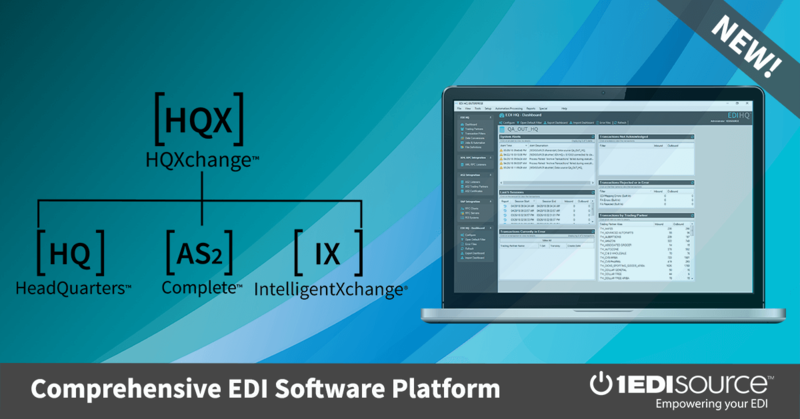 In EDI Complete, the creation of individual files can be accomplished using the mapping operators “Change Header Output File” and “Change Header Detail File”. Filenames can be made unique in a number of ways – PO number, date/time stamp, use of a counter, unique identification operators, a combination of these options, etc. Whatever file naming method you choose, build the filename within the objects of the map, before changing the output file name(s). For assistance with creating unique file, or for any other mapping advice, call your EDI Consultant. He or she has a wealth of information, and can suggest the perfect solution for your every EDI need.